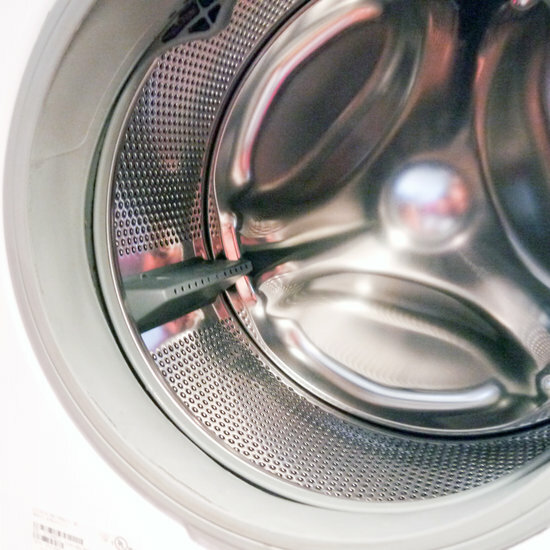 Front-loading washing machines are energy efficient and use less detergent than top-loaders, and are by far the most popular machines in the UK. But they sometimes have a tendency to harbour mould and unpleasant smells. By giving your washing machine a quick clean once a month, you'll keep your front-loader fresh, which means cleaner clothes, too. This eco-friendly method doesn't use bleach, costs only pennies to make, and comes together with ingredients you already have on hand. Start by mixing together the bicarbonate of soda and water in a small bowl. This is going to be the "detergent" for cleaning the washing machine. 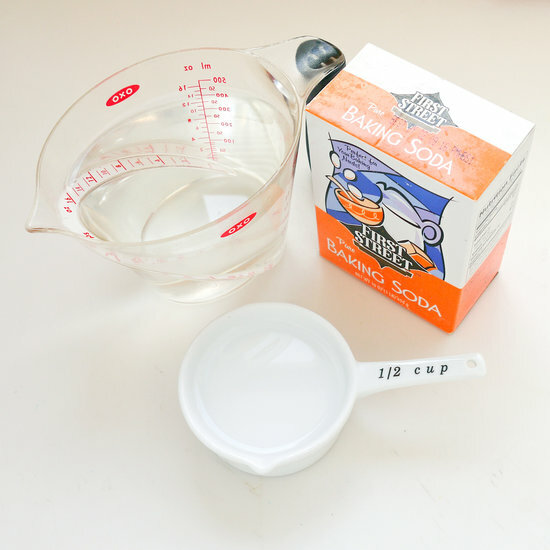 Pour the vinegar into a measuring cup and head over to your washing machine. Add the bicarbonate of soda mixture to the detergent container of your machine and pour the vinegar into the drum. Set your washer to normal load at the hottest water setting. Close the door and start the machine, letting it do all the hard work for you. The baking soda and vinegar naturally break up mineral deposits and any mould growth while cleaning and refreshing your washing machine. 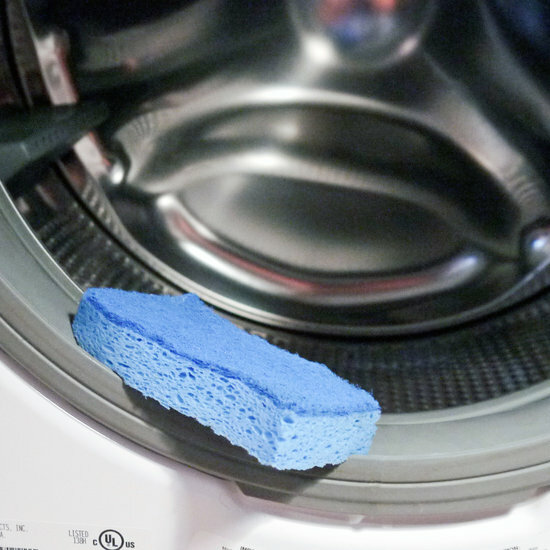 Use a clean scouring sponge to rub around the opening of the washing machine, removing stubborn mould or residue. Wipe clean with fresh water. 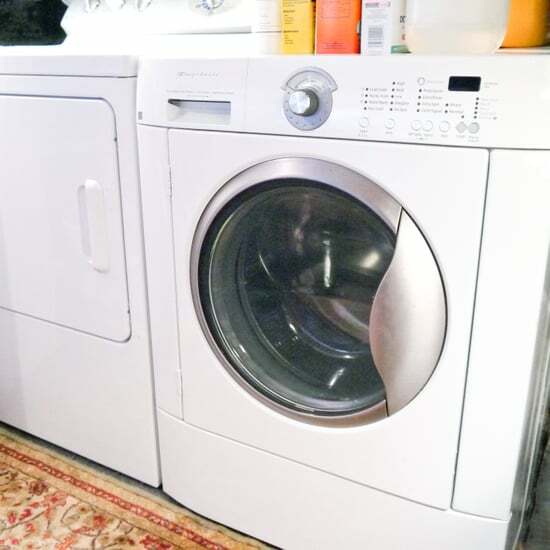 Your washing machine is sparkling clean and ready to do a load of laundry! Give it a clean once a month to keep your clothes smelling fresh and your machine working in tip-top condition.